we cordially invite you to the next edition of the GeoIT Talks series with talks by some of Berlin’s leading location industry experts, followed by an informal get-together with snacks and drinks. 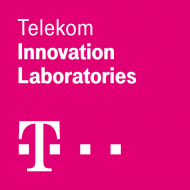 This time the talks are hosted by our member at T-Labs / TU Berlin at the top floor of the Telefunken tower at Ernst-Reuter-Platz 7, 10587 Berlin-Charlottenburg. The evening will be moderated by Dr. Peter Ruppel, TU Berlin/GeoIT.org.